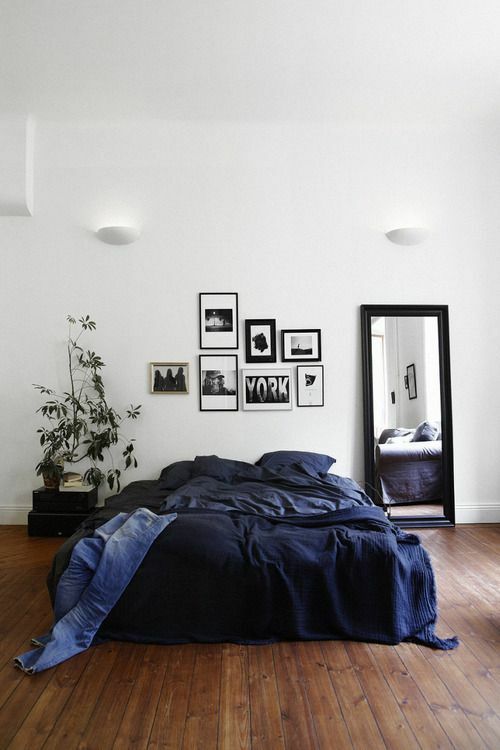 INDIGO is a hue-g colour this year, it is also a great colour for a contemporary scandi look or a more sombre classical scheme. Whether on walls or upholstery, you can expect to see the restoration of this hard-hitting hue. Moody Indigo is the phrase heard so much with this deep navy- quite simply because it is such a relaxing, calming colour taken from beautiful ocean landscapes- wouldn’t you be in a good mood if you were there? It is the colour of trust, honesty, logic & reason…Have a look at the following styles and tell me which would keep you in a good MOOD!?! 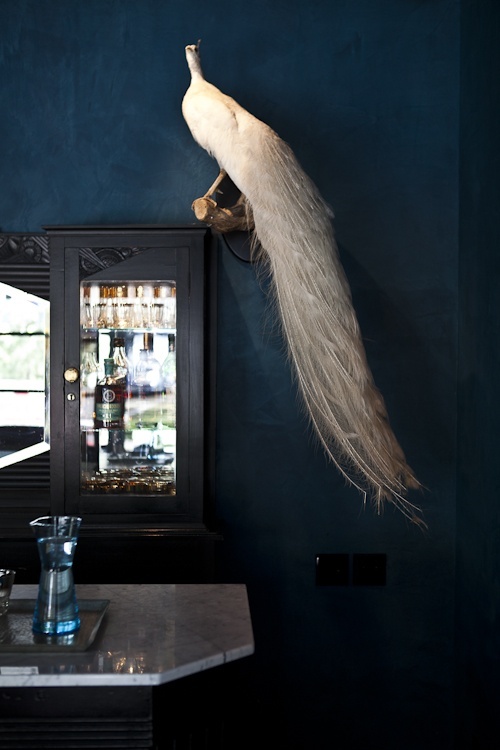 Whimsical interiors are all about creating drama so paint your feature wall in deep navy and add those unusual, quirky elements. 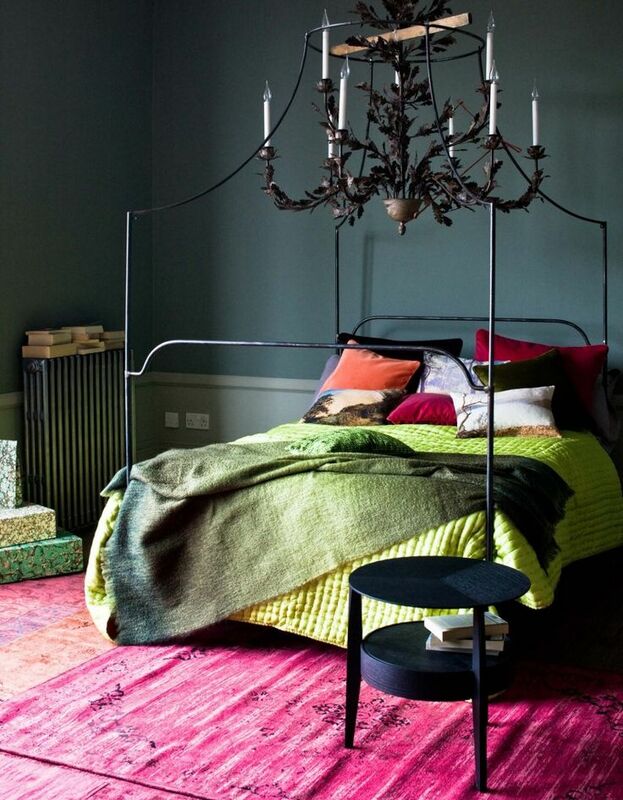 Another way to add drama is with harmonious colours: those that sit opposite each other on the colour wheel- Indigo/navy sits harmoniously with orange, pink, green; this palette is dramatic yet flattering. 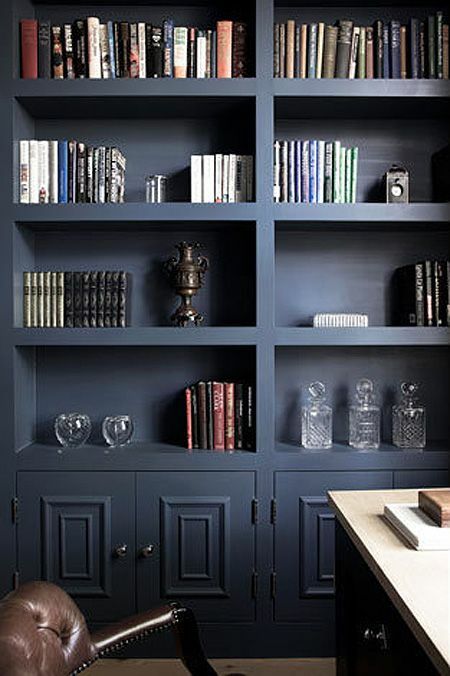 It is the colour of the mind, affecting us mentally- Perfect for a study, better still a traditional study: an Indigo chalky paint on wall to wall book cases with a traditional leather chesterfield, dark wooden furniture & decanters of whisky out of a beautiful ornate cabinet.